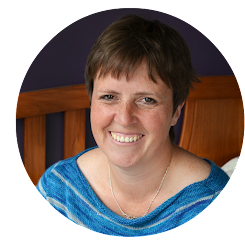 There's a very special lady who, even though she is a busy mum, a loving wife and is currently back at school, she consistently spends her time and energy blessing others. You may already read Debs blog, Works in Progress. But if you haven't visited before, trust me you won't be disappointed. 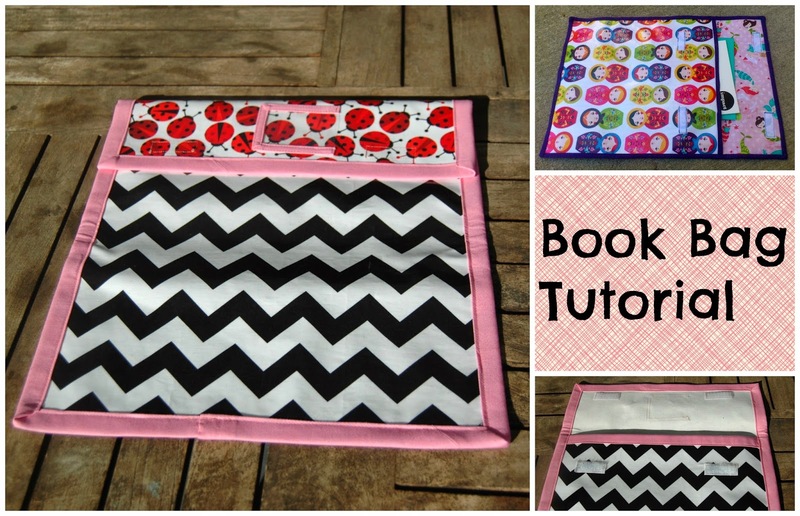 You'll find a beautifully written posts, full of wisdom and life's observations, as well as gorgeous quilts to drool over! Speaking of quilts, Deb is very generous and has been known to surprise people who are in need of a big hug by gifting them one of her beautifully made quilts. 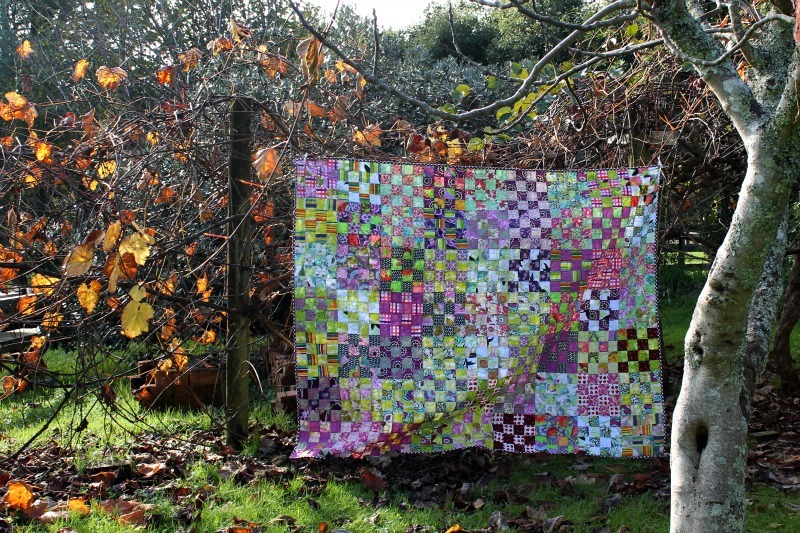 Giving quilt hugs, that are loving and warm and provide a sense that these people are not alone in dark times. You can read about some of those special stories here, here, here and here, only to name a few. But the kicker is that after cutting, pinning and sewing these quilt tops together, Deb pays out of her own pocket for them to be professionally quilted. Her trusty Bernina, just isn't up to the job! After a secret fact finding mission was completed, we found out that what Deb really would love is a Juki! Deb has been heard to describe it as "a magic machine" one which means that she could make more quilts. Which is a good thing- RIGHT?! We think that since Deb has blessed so many, it's about time that the giver is blessed back! 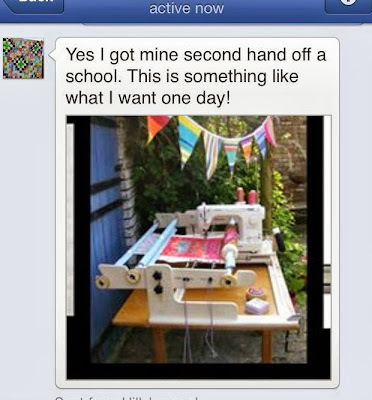 Our goal is to raise $3000 to buy Deb her dream machine! Then she'll be able to continue to give to others without breaking the bank! We've set up a Facebook page to keep you up to date with how far we're getting towards our goal, and if you're keen to help, we'd appreciate if you donated whatever you can spare into the following account. Your Choice...Twitter....Instagram ( #BlessingDebnz ), and Facebook! And remember even the smallest contribution counts! Fantastic idea ladies :-) Good luck! This is a really great mission. I am Deb's Cape Breton Canada twin. 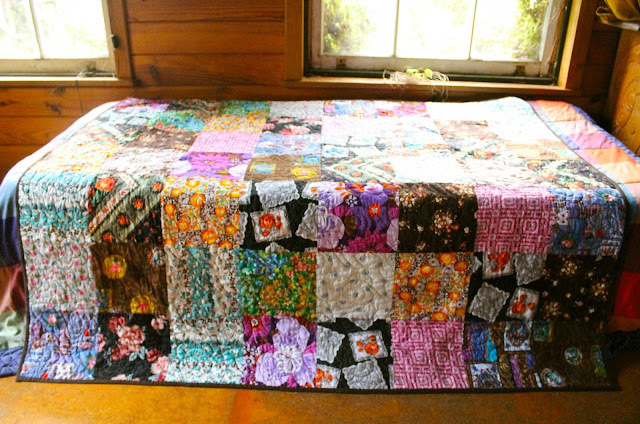 Nothing gives me more pleasure than to make and distribute quilts to those in need of a perpetual hug. I finally involved my little sewing group in making some comfort quilts for our little community just this week by offering a Mystery Block Tour. Week one was a blast and very successful!! We were able to make enough blocks for not one, but two! That said, I also spend an arm and a leg on these quilts and I can personally appreciate your efforts. Good luck!! Hi Julie, awesome idea. Debs has been through so much. I am hoping to meet up with her and others next Thursday at the Make Cafe. My deposit has been made.